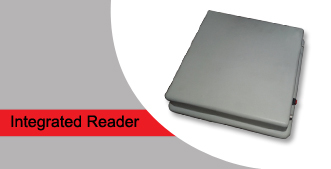 IAITO integrated reader is an all weather ruggedized Ethernet connected UHF EPC C1G2 Integrated RFID reader with long read range and high read rate. This integrated reader is extremely versatile and can be used in all environments, indoor or outdoor, and for all verticals, whether they are warehouse dock door, forklift car, parking lot gate, outdoor patrolling vehicle, highway toll station, livestock farm, slaughter house, container port, etc. It is uniquely offered with either left hand or right hand circular polarization, thus allowing it to be deployed in the most extreme dense reader environment ––– face to face close range deployment.